The side of the neck is quadrangular in shape (vide supra). 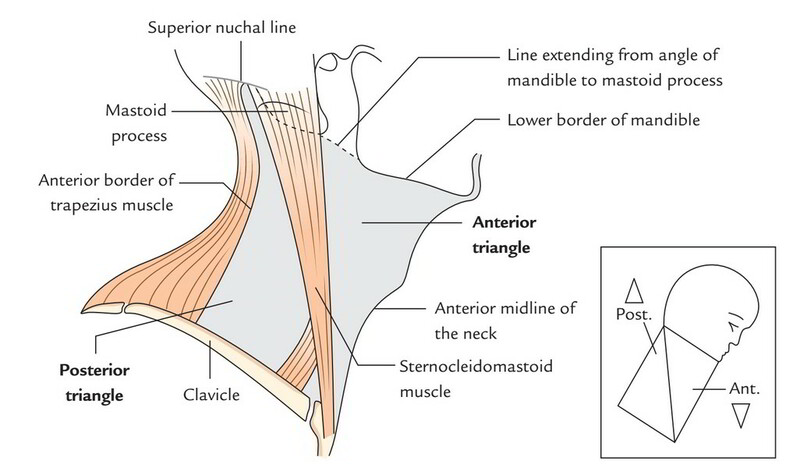 The sternocleidomastoid muscle splits this quadrilateral area into large anterior and posterior triangles, from mastoid process to the upper end of the sternum, which runs across this area diagonally. The attachments of 2 major superficial muscles, i.e., sternocleidomastoid and trapezius, fell upon on the side of neck before examining the anterior and posterior triangles.